Did you suffer harm when your doctor misdiagnosed your pituitary tumor? If your doctor misdiagnosed or failed to diagnose your pituitary tumor, you could have grounds to file for medical malpractice. You could be entitled to compensation for your cancer misdiagnosis. The sooner a doctor can diagnose and treat pituitary cancer, the quicker the patient can reclaim his or her health. If your doctor did not diagnose your condition accurately or promptly, a pituitary tumor misdiagnosis lawyer might be able to help. You deserve compensation for your doctor’s wrongdoing, and Medical Malpractice Help can help you fight for it. Our firm focuses on medical malpractice, and we have won substantial settlements and judgments for clients across the United States. We can put our extensive resources to work for you. To schedule a free, no-risk consultation, call us at 855-633-2757. If Your Doctor Should Have Diagnosed Your Pituitary Tumor, He or She Might Have Committed Medical Malpractice. Pituitary tumors cause patients to experience several common signs and symptoms. If you presented one or more of these symptoms, your doctor should have considered this type of cancer as a possibility and ordered an evaluation or lab tests to rule it out. A doctor who fails to do this can cause his or her patients to suffer harm by continuing to live with an undiagnosed pituitary tumor. That is why misdiagnosis is often considered medical malpractice. An MRI or CT scan, to let your doctor see your pituitary gland and look for any abnormalities. A diligent doctor will know which test or combination of tests to order if he or she suspects a patient might have a pituitary tumor. If your doctor failed to do this, we might be able to show that he or she committed medical malpractice. An Attorney Might Be Able to Build a Strong Case Against Your Doctor. Any doctor who has a doctor-patient relationship with someone owes that patient a duty of care. This means that the doctor must provide a high level of care and treatment expected of all members of the profession. A breach of duty occurs when a doctor’s behavior does not uphold the standards of the profession. In other words, if another reasonable doctor would have made the proper diagnosis of your pituitary tumor, and your doctor did not, then your doctor might have violated the standard of care. To prove medical malpractice, we have to show a cause-and-effect relationship between your doctor’s breach of duty and the injuries you suffered. We can show how the symptoms of your pituitary tumor continued for longer than necessary because of your doctor’s failure, and how this lowered your quality of life and caused you to experience pain and discomfort. Finally, to win compensation, we must show what specific damages you incurred as a result of your injuries. These damages can involve actual financial losses, such as medical bills or lost wages, or they can be more subjective losses, such as pain and suffering. 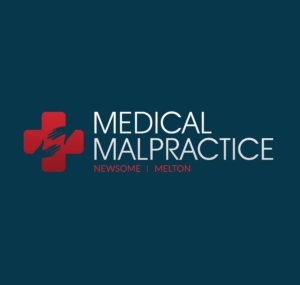 Call 855-633-2757 for a Free Case Evaluation With a Medical Malpractice Attorney. The Medical Malpractice Help team of attorneys wants to help you fight for justice after a pituitary cancer misdiagnosis. We help victims of medical negligence across the country by holding at-fault healthcare providers responsible. We can help you understand the legal process involved with this type of claim, answer your questions, and discuss what you should do after a misdiagnosis during your free consultation. To schedule your free case evaluation, call us at 855-633-2757 today.